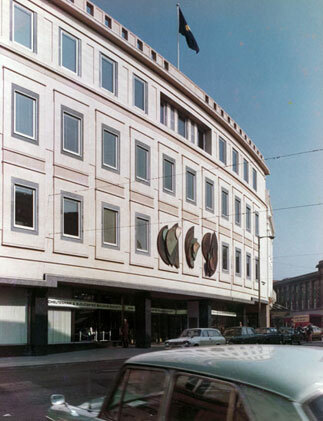 Theme and Variations, 1969–72, bronze, 11 feet 3 inches in height x 25 feet in width, Cheltenham & Gloucester Building Society head offices, Cheltenham. 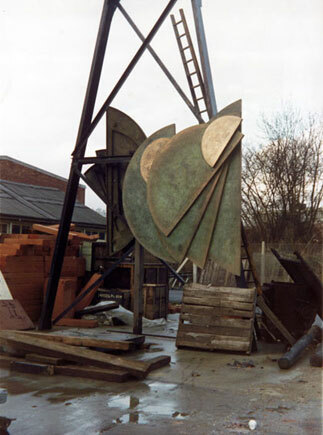 A mural sculpture comprising semi-circular bronze forms superimposed in a three-part composition. The architects of the building, Healing & Overbury, commissioned Hepworth. The building opened in September 1972. It is now owned by DTZ.